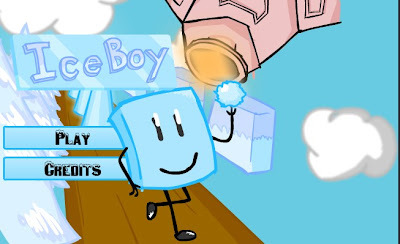 Iceboy is another platformer game on newgrounds. Set in a world covered with snow, you have to go through icy obstacles, missile turrets and ice melting laser to save the freezing planet somehow. The game features 11 challenging levels and three medal achievements to unlock. This one is relatively difficult so chances are you will get pawned most of the time. But you can try as much as you want by pressing r to restart then carry on. Meanwhile, here is an IceBoy walkthrough we found so far plus the secret area solution.